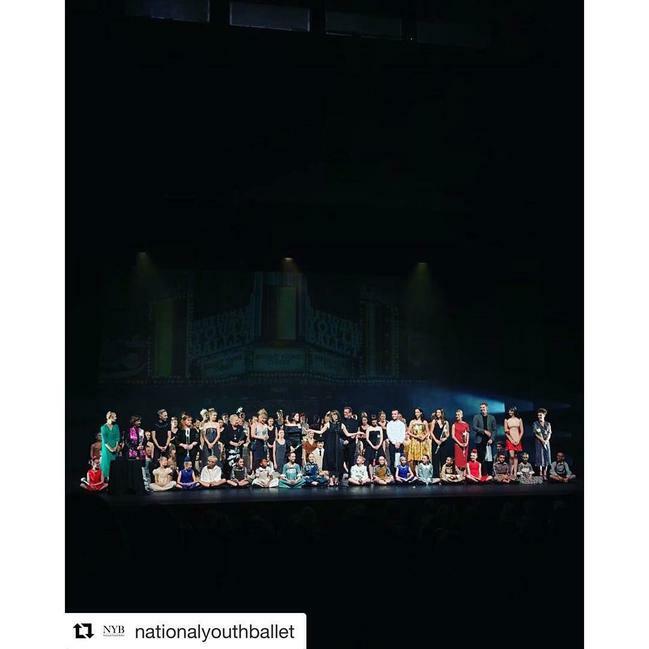 In the summer holidays Innes (8DJ) completed her second season with the National Youth Ballet, with a Gala performance of ‘Bright Young Things’ at Sadlers Wells in London (see photo -Innes is in the red dress, front row, seated). 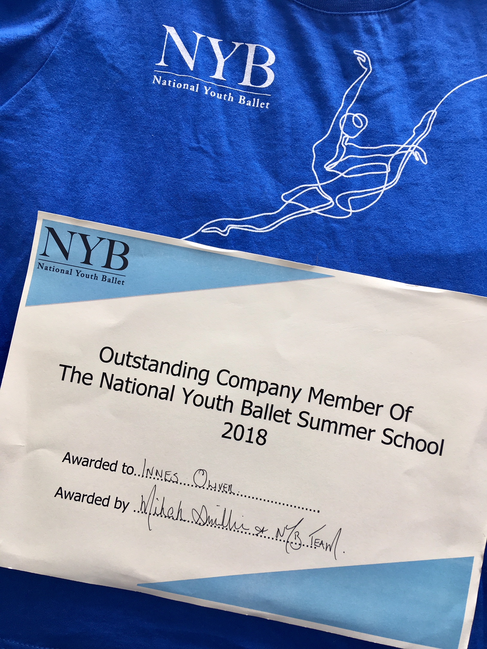 We are proud to say that she received an award for Outstanding member of the company, awarded by the artistic director Mikah Smillie and the NYB staff (see photo). Innes joined the company at Elmhurst Ballet School in mid August, to learn this season’s choreography: ‘The Red Balloon’; she was cast as the‘Red Balloon puppeteer’ one of the principal roles. Innes worked really hard to learn the piece before the company moved to the Crescent Theatre, Birmingham. Following dress and technical rehearsals, two evening and one matinee performances in Birmingham, she travelled to London for the final performance. The hard work started back in March, when Innes attended an audition in Birmingham, with the second round held in London in April. On the same weekend in April, Innes attended auditions at Elmhurst Ballet School, where she was offered a place as an Associate Student. This means she will attended special classes in Birmingham every weekend, as well as her dance classes in Blackford and Bristol. Innes works very hard at her ballet and has received a fantastic response from teachers, choreographers and directors alike. Very well done Innes, we wish you great success with your ballet.